Key Jumping Guitar Solo Tutorial Set! Learn To Solo Through Key Changes! It is hard enough to learn to play a guitar solo to begin with. It’s even harder for most players to learn to play through music that is constantly changing keys. Well my friend, you have come to the right place. 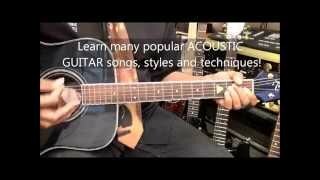 I have put together an easy set of tutorials that will I believe will help anyone who is interested in becoming a better guitar soloist. These videos will also help you to understand the concept of musical keys in general. What have you got to lose? It’s free. All you have to do is give it a shot. You can’t ask for a better deal than that. If you don’t learn something from this set of tutorials, I will refund all you paid.